Where the jobs are. 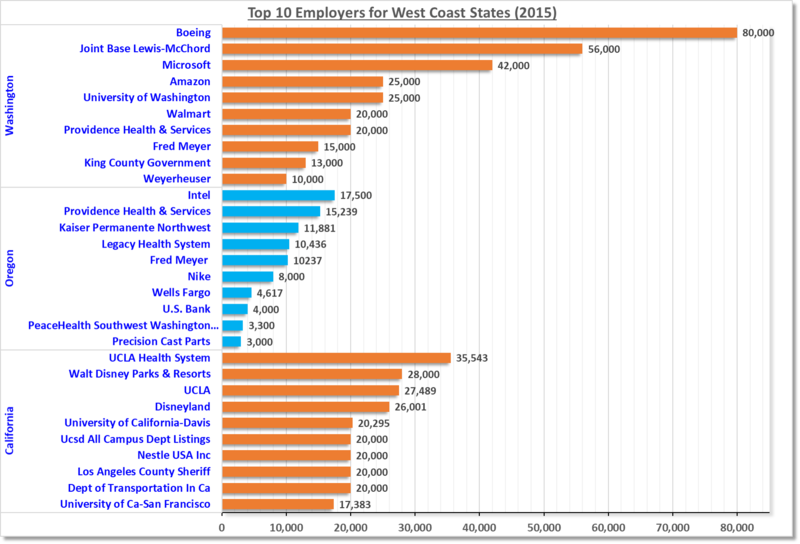 Top ten employers for California, Oregon, and Washington states, 2015-2016. Tech, healthcare, retail, and government organizations lead the list of top employers on the west coast. Although the numbers aren’t most updated and fluctuate a lot due to attrition & changes in industry, they give a fairly good idea of the big names in these fast growing states.